Are you in the industrial field? We can assist you! Whether you require fibreglass repairs or the manufacturing of fibreglass parts we can help you. For our industrial customers we offer our onsite service in Adelaide and throughout South Australia when parts are too large to be transported easily or when disassembling is not an option, this helps to keep your downtime to a minimum and our clients’ projects on track. 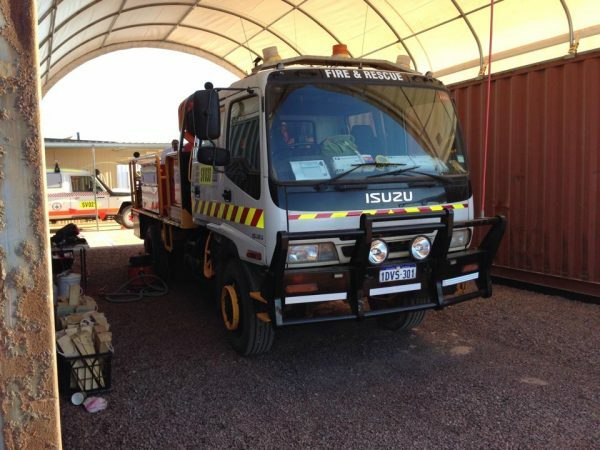 We have travelled across Adelaide and the surrounding areas for industrial, commercial and private fibreglass repairs and fitting of manufactured parts and have travelled as far as Coober Pedy to carry out fibreglass repairs in the mining industry. 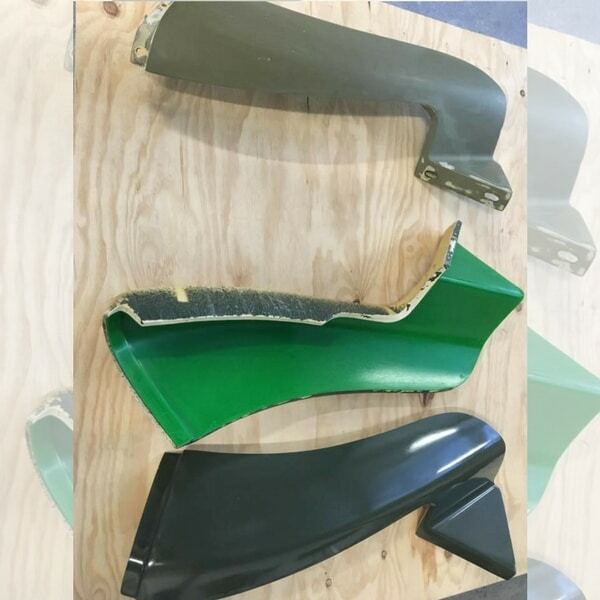 Having over 40 years combined experience in fibreglass repairs and manufacturing across a number of industries including the marine industry, we are able to manufacture fibreglass parts for various applications. 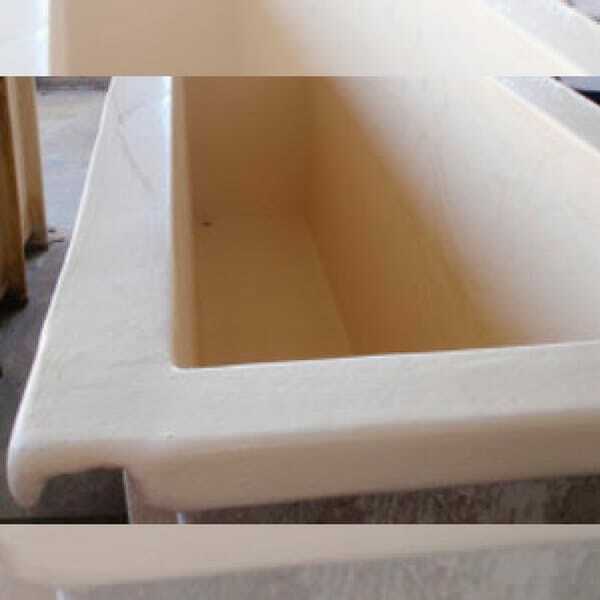 We can also build moulds from plans by creating a plug which is an exact replica of the required finished product, then fabricating fibreglass moulds from said plug. Making a mould off an already existing part is also possible. We can also manufacture parts from customers’ existing moulds, build one off products possibly without the need to build a mould or do short production runs using temporary moulds. Tanks, pipes, protective linings, ducting, exhaust stacks and many more are products which can be manufactured from fibreglass or from which fibreglass repairs can be carried out on. Advanced Fibreglass Techniques hand lays all of our parts and moulds to guarantee thickness and consistent resin and fibreglass ratios. This gives our customers the strongest possible laminate with minimal wastage. Our fibreglass moulds are made using Tooling Gelcoats and Resins (where required), giving you a higher quality, more durable and a longer lasting mould. Using Tooling Gelcoats and Resins ensures less shrinkage and it will outlast conventional tooling methods of using chopper gun, polyester resins and gelcoats. When required we can also use plywood and steel framing to strengthen and support the fibreglass moulds to give a more stable and longer lasting mould for high production runs. 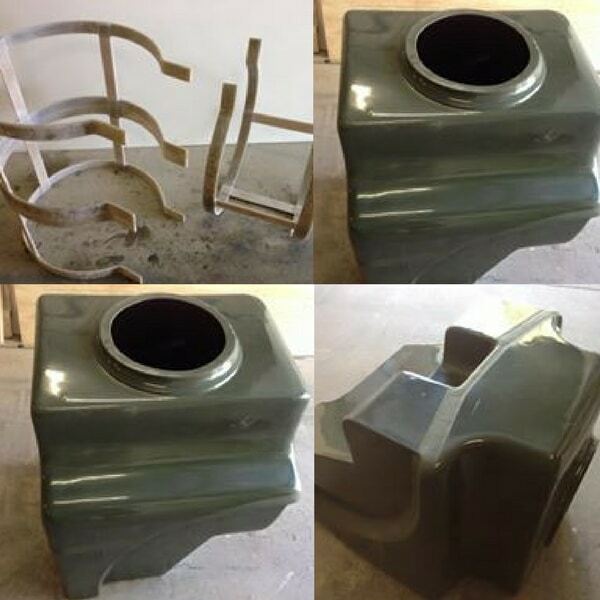 Often our fibreglass parts are chosen for their finish, shape, durability and UV protection. The ability for the parts to be used with chemicals used within various industries is another benefit. Furthermore, we can produce products, parts, tools and more for most industrial applications and uses. We use fibreglass in all of our industrial applications because it is a clearly defined engineered structural material with an ability to incorporate different resins such as polyester, epoxy or vinylester resin which offer excellent chemical resistance, quite often in environments unsuitable for steel or concrete. 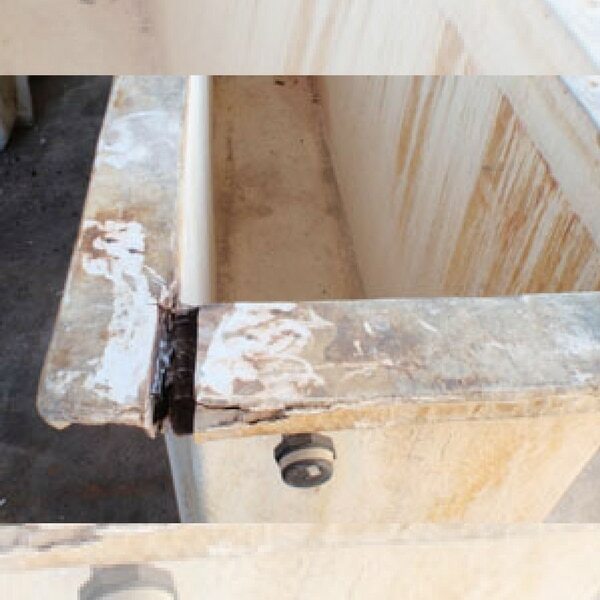 Vinylester resin is the perfect corrosion resistant resin which can be used for tanks and pipes and can resist such chemicals as sulphuric acid, hydrochloric acid, salt solutions and more. Fibreglass products also have a higher strength to weight ratio than other moulding techniques. We provide design, manufacturing and repair services to deliver a complete product development solution. We ensure the ease of the industrial manufacturing process and quality of the products, we achieve this by being intimately involved with our clients throughout the process of product development and tooling design. We also ensure the safety of our team and your project with all work completed in a well ventilated, dust free environment and climate controlled conditions when required. We take pride in ensuring our work space is clean and steps are taken to ensure minimal waste and we are always improving our industrial fibreglass manufacturing environmental practices. Advanced Fibreglass Techniques provides our private, industrial and commercial fibreglass clients an extensive range of product design and development services from initial research and concept generation, industrial design, to manufacture. 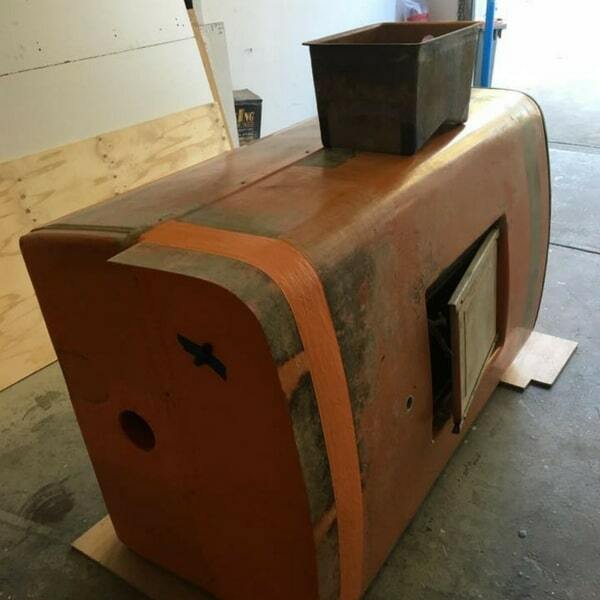 From fibreglass manufacturing to fibreglass repairs in various industries Mark, Nigel and the team have the skills and experience to carry out quality work across Adelaide and South Australia. Just to prove you are a human, please solve the equation: 30 - 12 = ?